An evaluation of the Charlotte shooting requires a little institutional memory. Fortunately, TNN has been logging and observing these incidents for future pattern analysis and comparison, if need be. 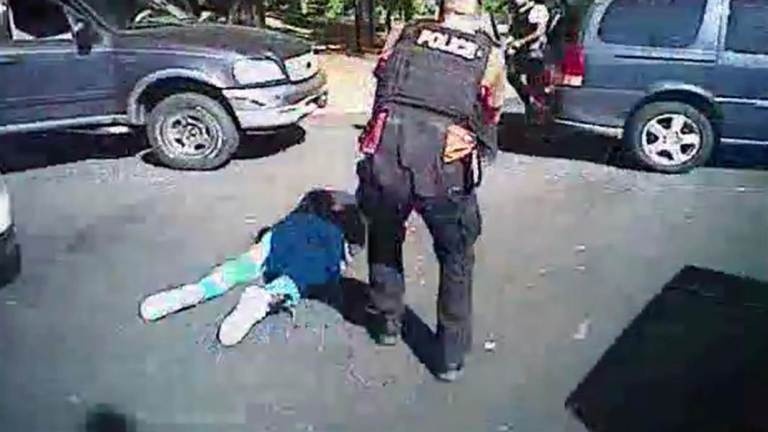 Now comes a new cell-phone video shot by one Rakeyia Scott, wife of Keith Lamont Scott, who was allegedly shot during a police altercation in a Charlotte, N.C., apartment complex on Tuesday afternoon. The voice and behavior of Rakeyia immediately reminded me of the July 6, 2016 Falcon Heights, Minnesota shooting of Philando Castile and the performance of one Diamond Reynolds. Somebody with voice recognition technology should analyze this because the two women sound as though they have the same voices and same voice inflections using slightly different recording devices. It certainly sounds like the same script writers. Additionally a police dash cam and a shoulder cam video (see in comment section) has been released that adds little to what transpired although Scott can not be spotted with a weapon. In the body cam video for some reason the sound is turned off until 0:26. Police later displayed a handgun in a photograph. I would draw the viewer’s attention to the Rakeyia Scott video starting about 1:32. I would turn off the blabbering to stay on focus. Watch sequence by sequence as first nothing is on the ground in the vicinity of the black officer’s left foot. Then Scott pulls the video out of frame and viola at 1:49 a handgun like object appears near the black officer’s left foot. At 1:55 Scott goes off frame again, but at 1:58 when she swings her camera back the object on the ground near the black officer is gone. The officer appears to be handling something (glove, gun?). At 1:59 he tosses it back in the ground. Freeze the frame at 1:59 and you can see the object in mid-air. Take special note that somehow the object on the ground has turned grainy and unclear thus fueling controversy. More tricks with cameras as seen so frequently in these events? At 2:12 the video moves off scene (orchestrated?) as the black officer bends over. As the video moves back in frame at 2:14 the object is once again gone. At this point the camera inexplicably stops (mid-rant) and Scott does not film the strip search of Keith Scott down to his underwear. Why? a deceptive orchestration? Then a photo is released showing a gun laying in a completely new position, one not previously seen on the video. 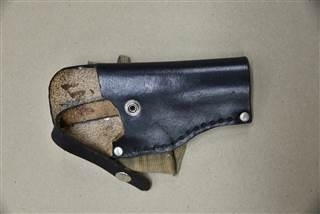 Some have argued this may be a latex glove. Is it proper police protocol to continually contaminate and corrupt a crime scene by tossing gloves around? I submit this is by design staged to create a confusing effect that both sides of the Hegelian dialectic can argue. Both the incidents in Falcon Heights and Charlotte are notable for what they don’t reveal and for their synthetic quality. In the Charlotte video, for some reason Ms. Scott stays some distance away where she can’t really film anything. This doesn’t combine. Falcon Heights is ludicrous and theatrical, and you have to watch it all to believe it. But in both incidents and after their mates have been fatally shot, these women are rather calmly addressing the officers in a tone and manner that a thinking person might consider fake or synthetic. You decide. The idea is to convey local police as yokels unprepared to deal with mentally unstable individuals, and who instead over-react with deadly force. My colleague Torchy Blane theorizes that the overreaction is the result of police training under the auspices and methods of the Israeli Defense Forces (IDF) (see: Inside GILEE, the US-Israel law enforcement training program). There is a second racial agitprop agenda as well. Charlotte police report that 70% of the rioters arrested have out-of-the-area ID. In the video, we witness Reynolds reading unemotionally into a camera (for Facebook, of course) and seemingly off of a script. At 0:38, the police officer gives the appearance of being “out-of-control,” saying “I told him not to reach for it, I told him to get his hand off it.” This feels like an acted scene. The girlfriend responds like she is arguing about speed limits, not a fatal shooting. Apparently, the girlfriend also had the wherewithal during the commotion to have counted four rounds fired into Castile. Only after being removed from the car does Reynolds finally show emotion at 2:10. The video goes blank for three minutes and finished up with her recapping what transpired. You see a 4-year-old girl at 5:45 in the video, and she’s not even crying. Finally, as Reynolds sits in the police car handcuffed near the end, some how she manages to run the video on herself and make more commentary. 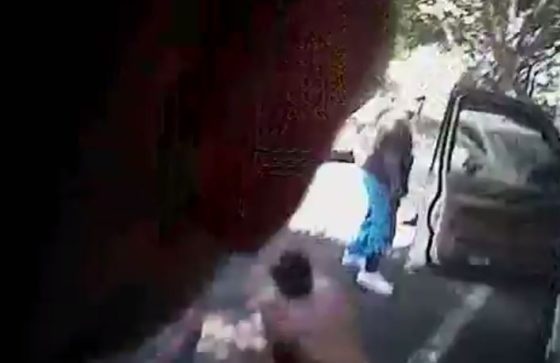 Oops – Police Body Camera Shows Keith Scott Was Wearing an Ankle Holster! Is Scott Holding a Gun in His Right Hand? Look at Scott’s right hand. Is he holding a gun? And yet, Dindus will still riot and loot! For Dindus, it’s never about the truth.